Craig's late heroics puts Pens back on winning track. The Pens overcame a very tough break by the schedule maker and a tough test from an Amerks team that took them to the wire on Friday to pick up their 10th win of the year and get themselves back into the winning habit. One would expect a team playing their 3rd straight game in as many days to come out flat, but the Pens fought all game long to keep up with Rochester and then cashed in when it counted. The Pens received a great opportunity with just over 4 minutes left when Amerks' forward Michal Repik took a hooking call and put the Pens on just their 2nd powerplay opportunity of the game. Rochester was able to successfully kill it off but just 26 seconds later Ryan Craig beat goaltender Jacob Markstrom to put the Pens up 2-1 en route to a 10-1 record. Brad Theissen and the defense held the fort after that to seal the deal. Theissen moved his record up to a perfect 6-0, making 19-20 saves with Michael Caruso being the only one to beat him midway through the 2nd period. Caruso's goal came as an answer to a nice goal scored by Dustin Jeffrey 46 seconds earlier. Jeffrey buried it after receiving a nice feed from Brett Sterling on an odd man rush. The 2675 fans (ouch) in Rochester were treated to an exciting game that was full of lots of up and down action and momentum swings. Forward Eric Selleck also gave them some extra-curricular action to watch as he played the role of the pest for Rochester. Geoff Walker was the first to mix it up with Selleck at the end of the 2nd before big Joey Mormina dropped the gloves with him in the 3rd. The Pens get a well-deserved week off in which they can return home and focus on improving in practice without the pressure of the streak. Milestones and record pursuits are fun, but sometimes the pressure of extending them can interfere with the general goal of the team during practice. 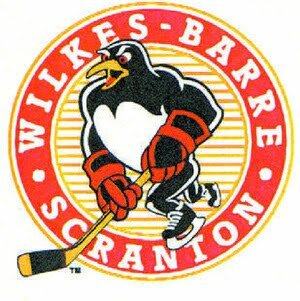 Binghamton and Worcester next weekend, Go Pens.